Louisville Athletics is busy as ever ten days into February. Basketball is nearing the season’s end, spring sports are hitting a stride and football hosted a party for National Signing Day. Here’s a quick recap of the past week and how the Cardinals are faring in each program. Swimming and diving started 2019 with victories in back-to-back meets. This includes their Jan. 25 win over Northwestern on senior day. Since then, the men’s and women’s teams notched tough losses to rival Kentucky and, most recently, Indiana on Feb. 1. The Louisville men are ranked No. 8 and women No. 16 (rankings have yet to be updated since the defeat). Head coach Scott Satterfield presented the newest members of his football team on Feb. 6. Louisville hosted a party for National Signing Day and ended up signing 12 student-athletes. Those additions raise the total number of signees to 16. The crop includes six offensive linemen, five linebackers, three running backs, two quarterbacks and tight ends, and one cornerback and defensive end. The Cardinals are set to begin spring practice tomorrow. Track and field has stayed busy since the team started its indoor season, competing in five events across the past month. Highlights include: Men’s and women’s teams winning the Notre Dame Invitational, Cardinal throwers tearing up the Illini Invitational and Louisville picking up eight wins at the Power Five Invitational. Pole vaulters competed at the Doug Raymond National Qualifier yesterday. As of last month, the Louisville women were ranked No. 19 in the nation. Men’s tennis has started 2019 with a 6-3 overall record. The Cardinals won three straight matches against opposing schools before losing at Oregon yesterday. 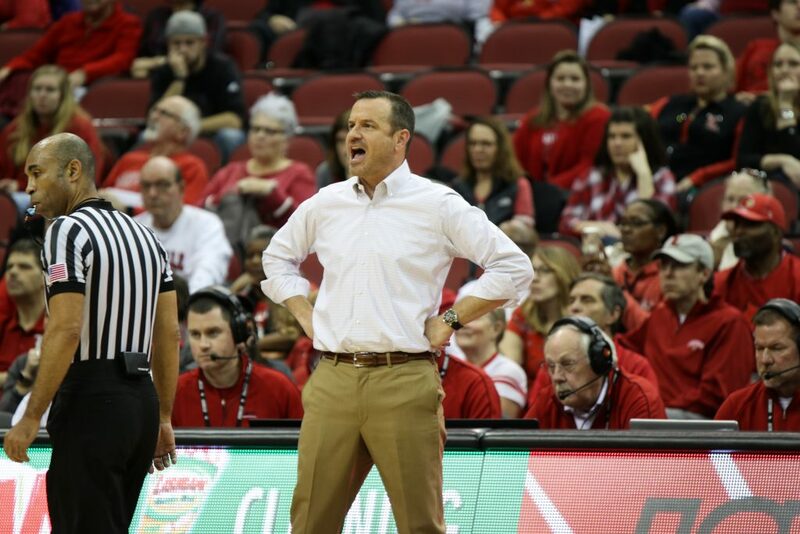 Louisville faces its second conference match of the season at Boston College on Feb. 15. Men’s basketball moved to 17-7 overall, 8-3 in conference play, after fumbling a lead at Florida State for a tough loss. Louisville hosts Duke, arguably the most talented team in the country, on Feb. 12. Women’s basketball has stayed hot since losing to Notre Dame. They’ve won nine straight, with their most recent victory coming today at Virginia Tech. With a 23-1 overall record, 10-1 in conference play, Louisville is now alone atop the ACC. They host Miami on Feb. 17. Women’s tennis is on a roll in 2019, winning nine straight matches to start the season. Louisville defeated Pittsburgh in its ACC home opener earlier today. The Cardinals travel to face Nebraska and Wichita State next weekend Feb. 15-16. In a sports year filled with Kentucky topping Louisville in most sports, the Cardinals changed that in women’s golf. Starting its spring season today, U of L topped UK in the Battle of the Bluegrass. Next up, the Cards travel for the Moon Golf Invitational in Florida on Feb. 18-19. Lacrosse is 0-2 to start the 2019 season, notching tough losses at Northwestern and Marquette this week. Still, the Cards have shown high promise. They rallied for five straight goals while trailing Marquette and lost a close one 15-12. Louisville travels to face Denver on Feb. 16 before its home opener on Feb. 23. Under new head coach Holly April, softball opened the 2019 season 3-2 at the Titan Classic in California. Louisville has two more road stints, starting Feb. 15, before its home opener on Mar. 1. Men’s golf begins its spring season tomorrow at the Mobile Sports Authority Invitational in Alabama.